Patrick & Natalie Carlisle, the owners of Newberry Hall, believe that a passion for food and a passion for people are at the heart of every event. Dedicated to excellence in food quality, preparation and presentation, and known for their unsurpassed attention to client needs and event details, Patrick, Natalie and the staff of Newberry Hall are the catering professionals to turn to for your Aiken-area event. Together, they maintain a successful business by providing only the highest-quality services to each and every client and building a reputation as the folks you can trust most to handle your special event. 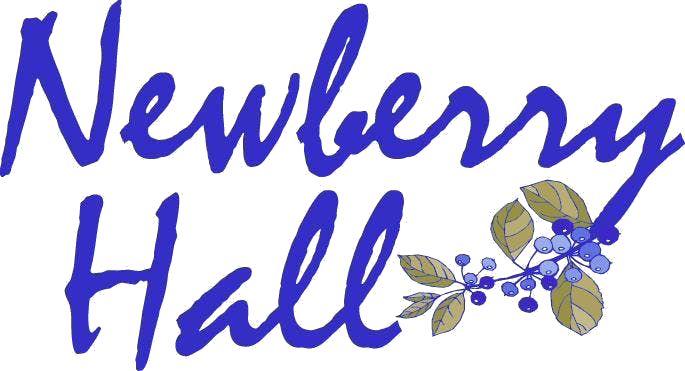 Newberry Hall is on a tree-lined and beautifully landscaped city street in the heart of downtown Aiken. Walk through the front doors of Newberry Hall and enter the perfect environment for your social or corporate event. Newberry Hall’s beautifully appointed and spacious foyer, banquet rooms and landscaped courtyard provide the perfect setting and amenities for all types of catered affairs. With a team of special events professionals to assist you, no detail of your Newberry Hall event will be overlooked. Whether your event is to be held at our place or the venue of your choice, Newberry Hall is the premiere catering team in Aiken County.